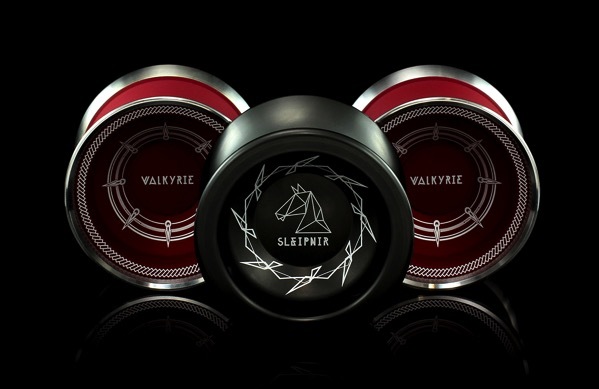 YoYoExpert Blog & Yo-Yo News – Yoyorecreation Sleipnir & Valkyrie Restock! Yoyorecreation believes that the Valkyrie will set a new standard for competition grade yo-yos, and after throwing it we would have trouble disagreeing! The Valkyrie just has a really special feeling in play. It feels really floaty yet solid, stable yet maneuverable, and moves as fast as you could ever need. Where the Draupnir was the perfect yo-yo for speedy competition level players, the Valkyrie will be the perfect fit for a wider audience without losing any of the top level performance feel. Often spoke of as one of the best yo-yos on the market, the Sleipnir is a real pleasure to throw. It feels amazingly light and fast on the string but still remains easy to control even through your fastest combos. The light and almost “floaty” feel is paired with a really powerful spin and incredible stability that makes your longest tricks seem effortless. There aren’t too many yo-yos that can achieve this level of performance, and there may not be another out there that does it with single metal construction! The Sleipnir is a serious competition level yo-yo that proves there’s still plenty of room for aluminum yo-yos in today’s high end yo-yo market. Once you try it you’ll have a hard time putting it down!